This School was formed in 2004 by the merger of the mathematics departments of the Victoria University of Manchester and the University of Manchester Institute of Science and Technology (UMIST). The merger brought together two schools that were of similar size and academic strength. Find out more about our current research and staff, or how to study at the School. Many famous mathematicians have worked in both schools and their achievements set a standard for us today. 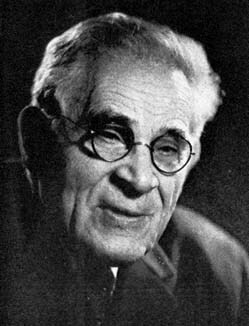 Louis Mordell was a distinguished number theorist. In Manchester he discovered one of his best known results, namely the finite basis theorem (or Mordell–Weil theorem), which proved a conjecture of Henri Poincaré. He also made a conjecture about algebraic equations that became known as Mordell’s conjecture and was eventually proved by G. Faltings in 1983. Born in the United States, Mordell travelled to England to study Mathematics at Cambridge University. In 1920 he joined the Manchester College of Technology and became Reader at Manchester University in 1922. He was appointed to the Fielden Chair of Pure Mathematics the following year and built up the Department, attracting a number of outstanding mathematicians who had been forced from posts in continental Europe. Mordell was elected a Fellow of the Royal Society in 1924 and received the Sylvester Medal of the Society in 1949. He was elected President of the London Mathematical Society from 1943 to 1945 and won the De Morgan Medal in 1941 and the Senior Berwick Prize in 1946.